How I spent my Superbowl. Not being a big football fan (though I did root for the Steelers, on Harold’s behalf), I tried to get some stuff done around the house. 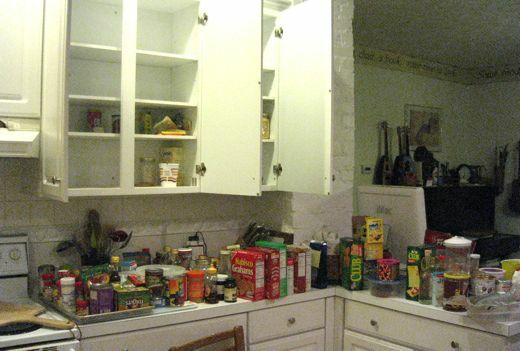 My brother Mark is going to be here Wednesday and his room is a disaster, so I cleaned out the kitchen cupboards. Lotta mistakes here, folks. Lotta mistakes. Quit buying crackers! I threw five half-eaten sleeves out for the birds. No more. You do not like oatmeal. Stop kidding yourself. Too ….. ooky. Same with cream of wheat. It’s better, but still ooky. You have two boxes to finish. You have enough basil and cinnamon to open an Italian Cinnabon. Make some things that involve rice so you can use it up. Nice, very nice. I also have to cook things with rice and finish up the oatmeal. I really hate that stuff. What was I thinking buying it in the first place? Great job! 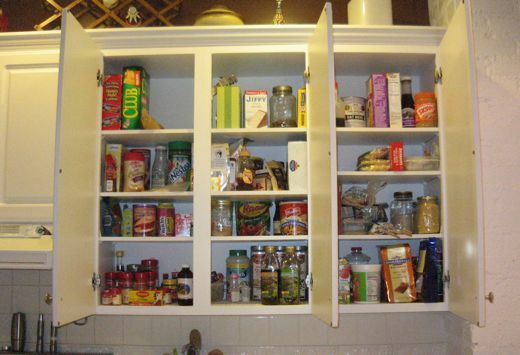 My cabinets could use some help, too. Sure you can squeeze in a little road trip before Wednesday. It’s noble of you to try to take the blame, but you’re only responsible for 25% of the cracker purchases. I do blame you for the oatmeal, though. dried blueberries. soak a whole bunch and then add the oatmeal or cream of wheat. And be sure you put in a little cinnamon & sugar. it makes it much better. Really. Also, to get rid of the oatmeal, cream of wheat, crackers, etc., you could grind them up and put small portions in the bread you make. I am sure someone has tried this before. Good thinking! 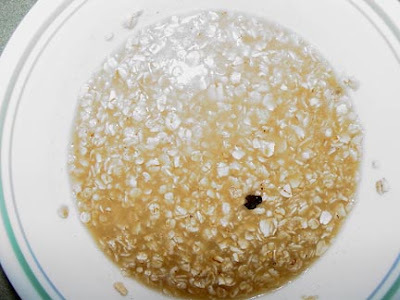 The recipes I’ve seen want you to cook the oatmeal first. Just FYI. Interesting idea… Do you suppose you could do that with any excess substances around your house? I have a lot of old potting soil in my basement. Could I bake that into some brownies? It’s like icky, but with more of a scrunched-up face.